Jodie grew up in a family of experienced cooks. 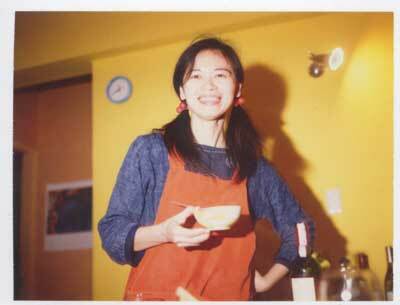 She found work in a restaurant while still a student, and later went on to make delicious dishes for patrons of popular Italian restaurant, Cosi o Cosi. She has studied Thai cookery in Chiang Mai and Ayuthaya, and last year travelled to Italy to learn about Italian home-style cuisine. Jodie now runs her own small restaurant in Taipei where she serves Asian and Western food to an appreciative and loyal clientele. Jodie has been interviewed by reporters for local and international media. She can also be seen on TV, most recently in World Cafe Asia, which was broadcast worldwide by the Discovery Channel, the Travel Channel, and Discovery Travel and Living. You can see some images from this series below.